“This is starting to feel like the opening scene of a horror movie,” I thought, with just a hint of nerves jangling for a little attention, only seconds before I saw the ghost. 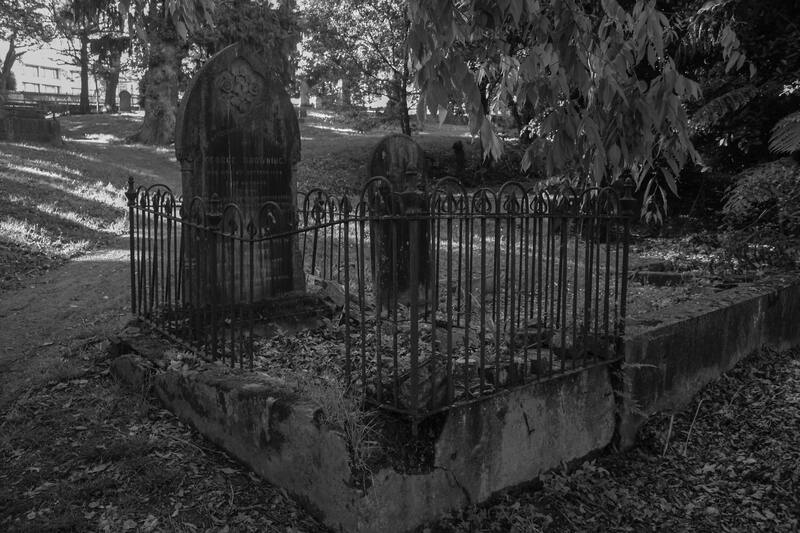 Age has not been kind to Symonds Street Cemetery. Unlike the orderly and refined elegance of The Langham, the hotel where I was staying in Auckland, New Zealand, the Symonds Street Cemetery across the street from it was a bit of a wreck. 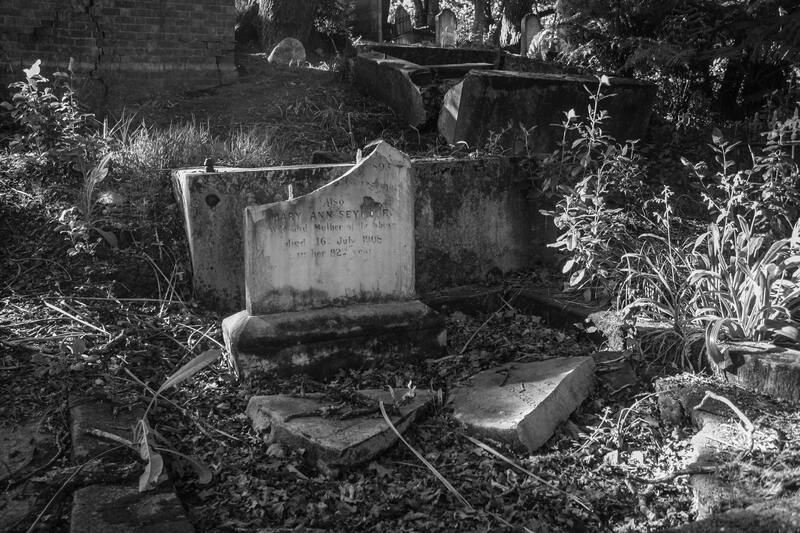 Auckland’s oldest cemetery was definitely showing its age. Named for a British Army officer who was heavily involved in the colonization of New Zealand, Symonds Street Cemetery opened in 1842 and was originally divided into three sections for Catholics, Anglicans, and Jews, and a fourth, for Presbyterians, Wesleyans, and “others.” When a new municipal cemetery opened in 1886, Symonds was closed for further burials, except for those who already had existing plots. 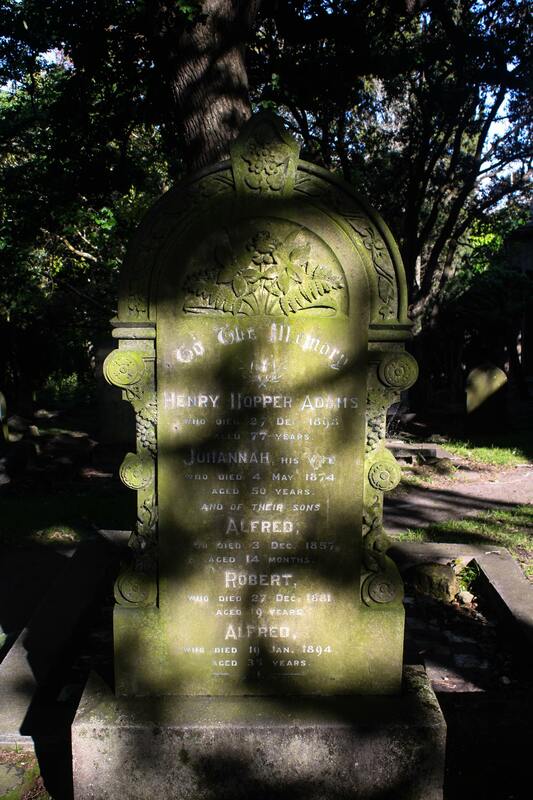 As I made my way down the slope of the cemetery’s bumpy terrain and into Grafton Gully, the leaves of the deciduous trees flickered in the breeze, shifting light patterns across the well-worn tombstones. The Grafton Bridge running above the cemetery cast an impregnable shadow around me, keeping a few haphazard rows of grave markers in a perpetual pall and lending a sinister touch to the place. Crumbling stones and rusting railings create an eerie atmosphere. Acutely cognizant of the fact that I was the only person there, I continued to meander around the cemetery’s 14 acres and tried to decipher the eroded names and dates on the tombstones — victims of decades of weather and neglect. Many were cracked or crumbling; others had simply collapsed into piles of rubble. Rusty, twisted iron railings surrounded family plots. Vegetation had overtaken some of them, tree roots hoisted up others at sharp angles, and a sheen of moss covered many of them in an otherworldly green. The oldest date of death I saw was 1908, and it looked like no one had visited the place since — no fresh flowers, no well-trimmed grass. It seemed like the entire cemetery was cast aside after the final burials, abandoned as a forgotten oasis in a developing city, at least until the 1960s, when the creation of a motorway next to it necessitated the removal and re-interment of more than 4,100 bodies. I wondered how badly their eternal rest had been disturbed during the construction, thinking this would be the ideal place for irritated spirits to roam around. Mother Nature has taken over with a fine sheen of moss. And that’s exactly when the ghost materialized. Further along the same path on which I trod and headed in my direction, the man did not appear to be of this century, dressed in a tweed jacket, ill-fitting corduroy pants, and a cap like those worn by street-corner paperboys shouting “Extra!” in the 1930s. As soon as he saw me looking at him, he stopped in his tracks. Clearly, I had startled him, but the feeling was mutual. He cocked his head a bit, eyed me for a moment, and then, instead of proceeding on his way toward me, he abruptly turned left and started climbing up the slope. I shifted my gaze to adjust my camera settings for a couple of seconds — certainly no more than five — and when I looked back in his direction, he was gone. Just…gone. He hadn’t passed me via a different route, he hadn’t retraced his steps on the path, he was nowhere to be seen on the slope, and he couldn’t have possibly scaled the tall wall at the top of the hill that boxed in the cemetery from the busy street.